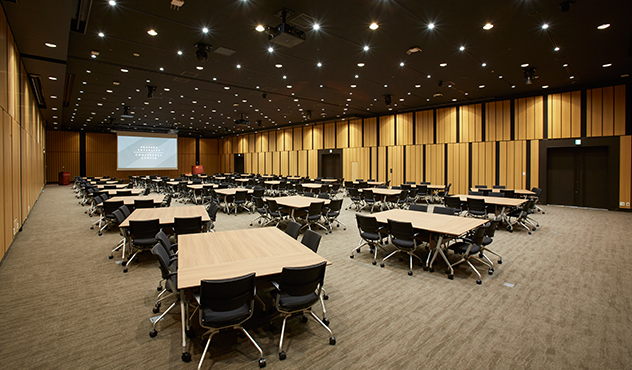 Our 300-seat main hall is equipped with two simultaneous translation booths. 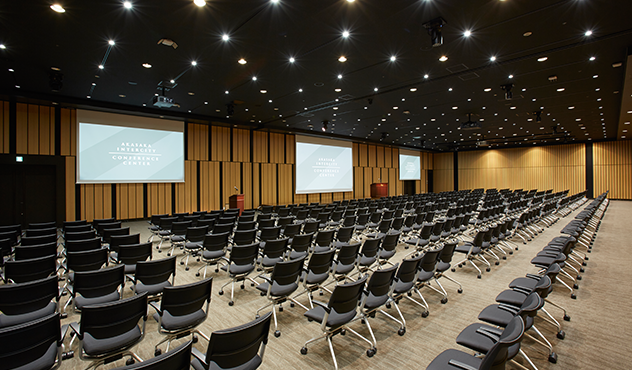 This venue has three screens and can also be used in a landscape orientation. 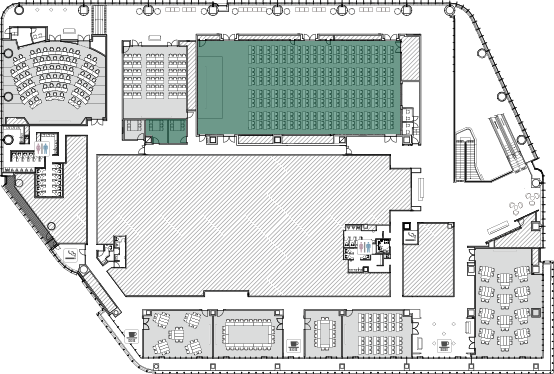 Two simultaneous translation booths and a dedicated control room. 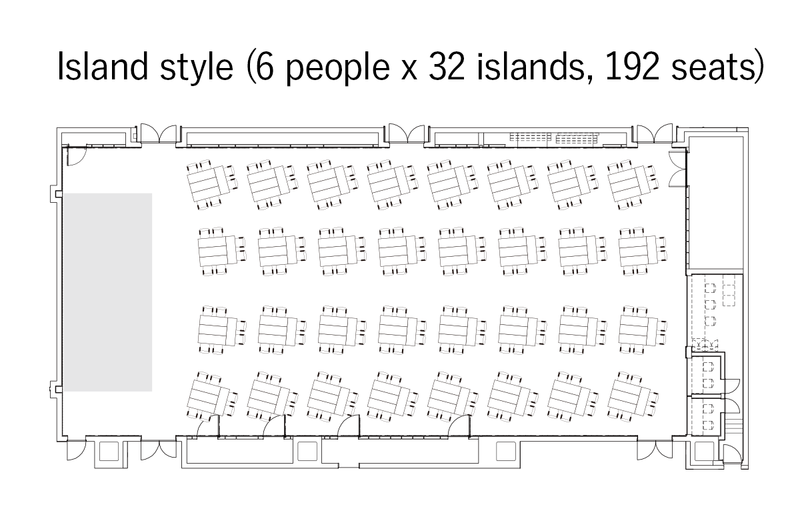 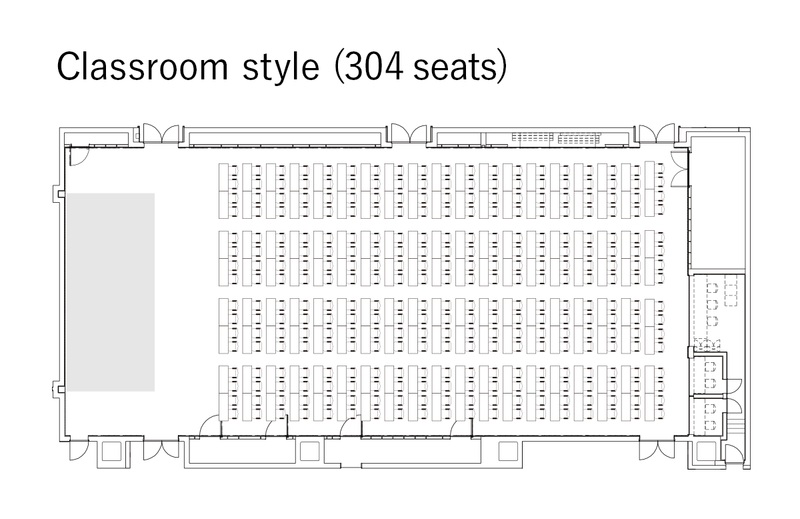 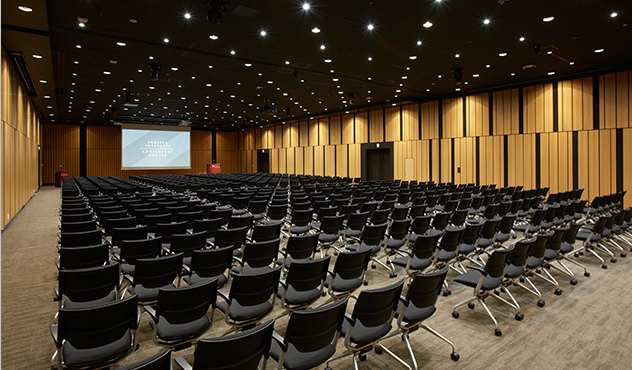 Our main hall, the biggest in the conference center, can seat 300 people. 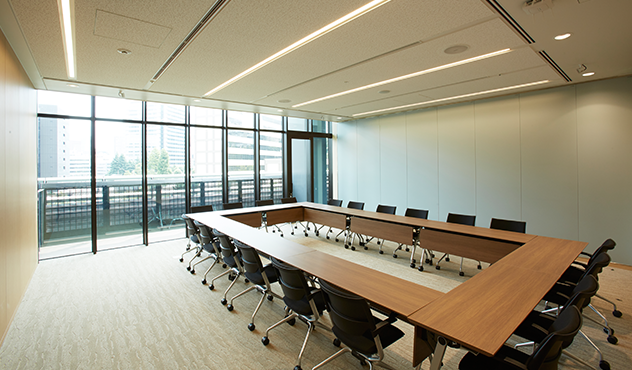 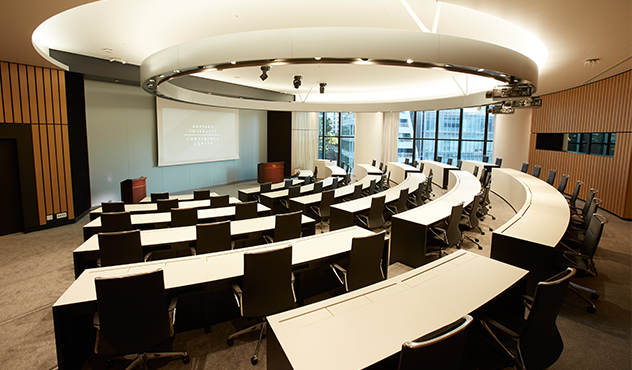 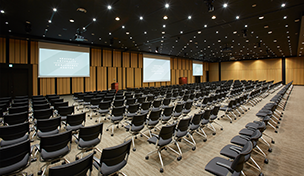 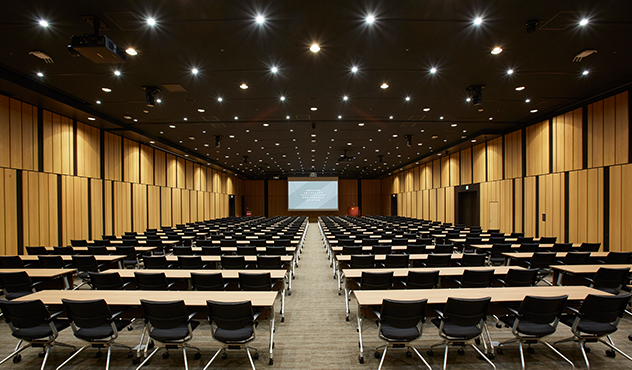 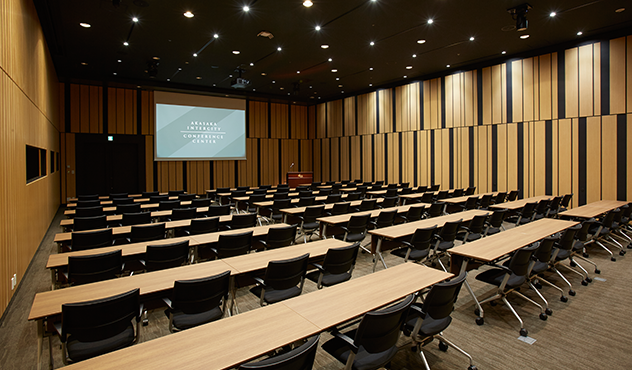 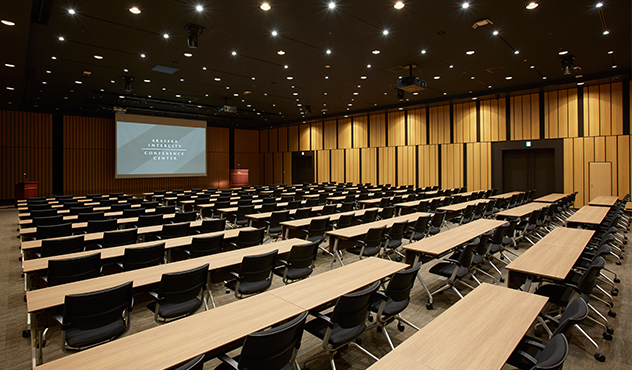 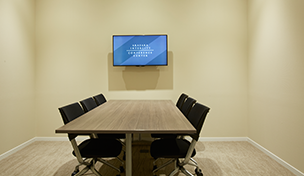 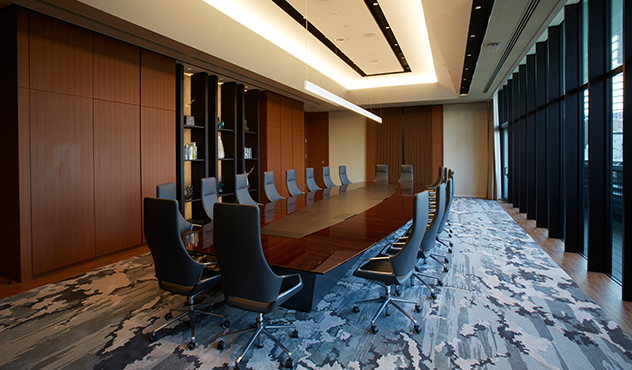 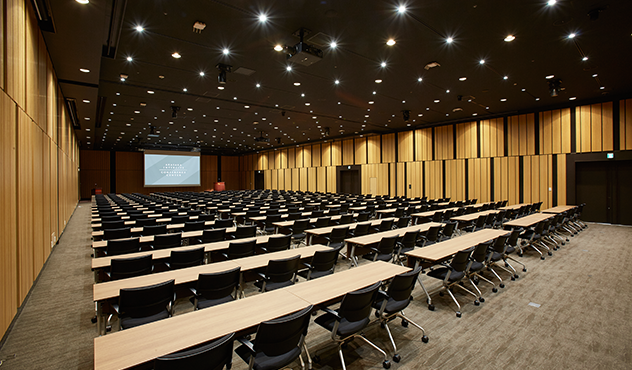 This spacious conference hall, which has a 4.8-meter ceiling and no pillars, is equipped with a large screen and simultaneous translation booths that make it suitable for international conferences, colloquiums and various business events. 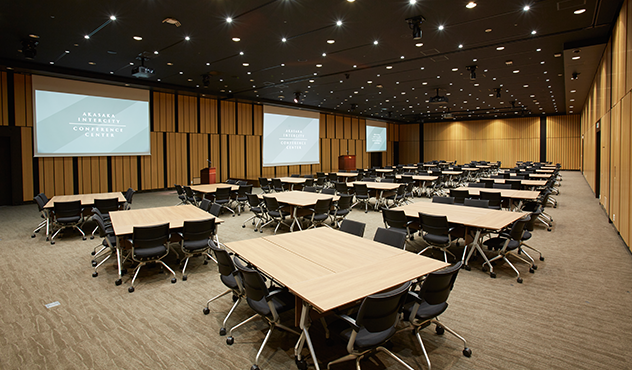 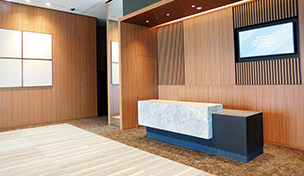 The screen and booths can also be used in an oblong configuration. 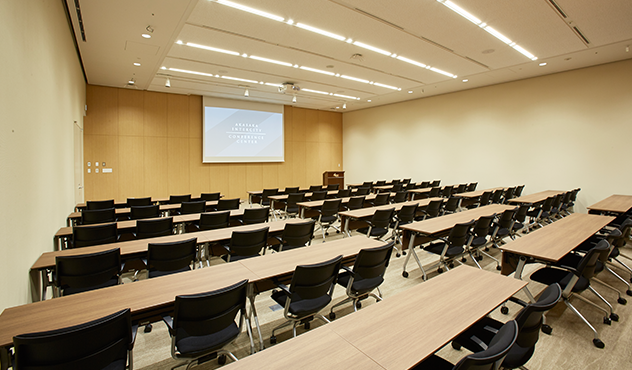 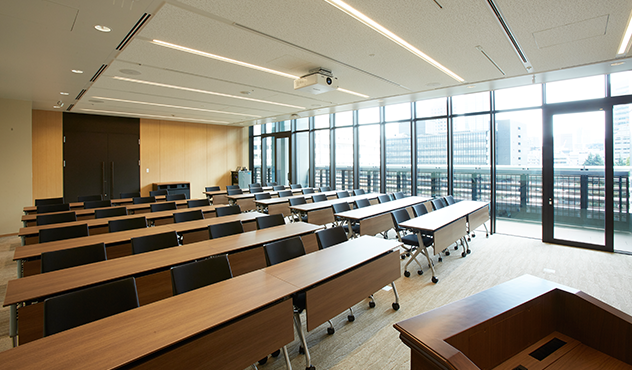 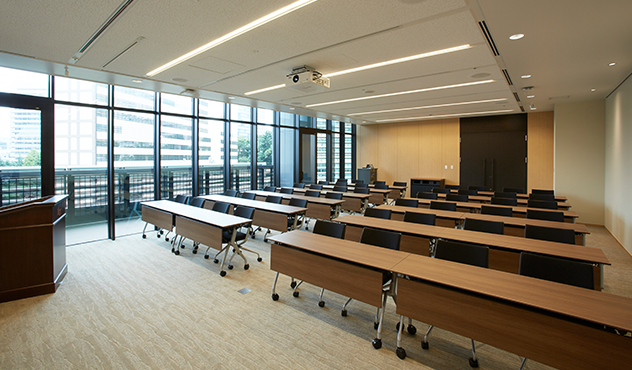 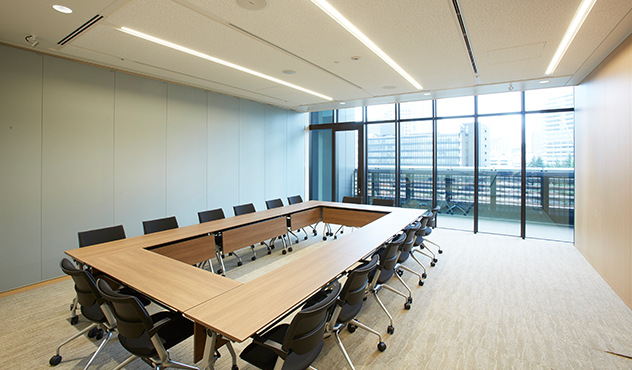 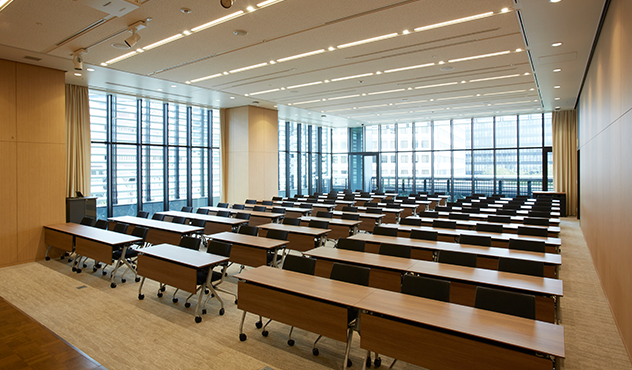 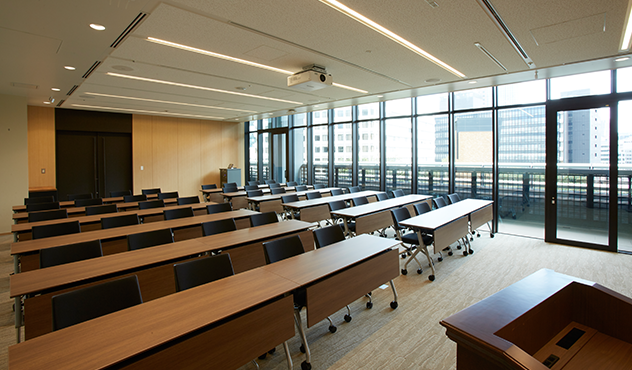 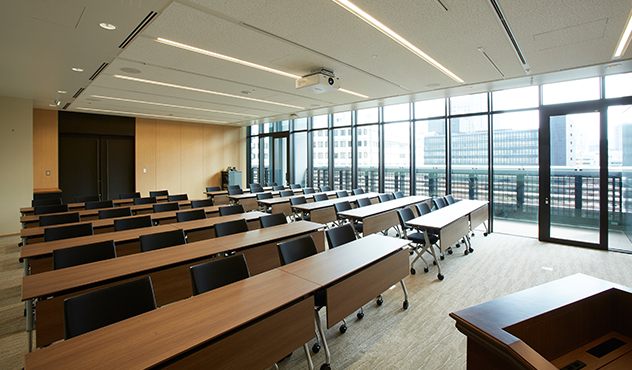 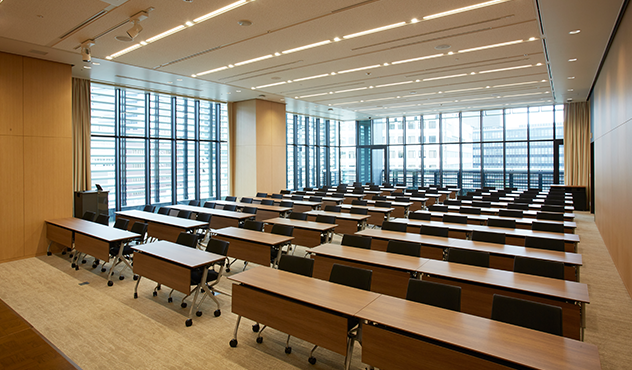 The desks can seat two people comfortably and the chairs are fitted with casters, wide seats and large armrests that stave off fatigue even during long seminars. 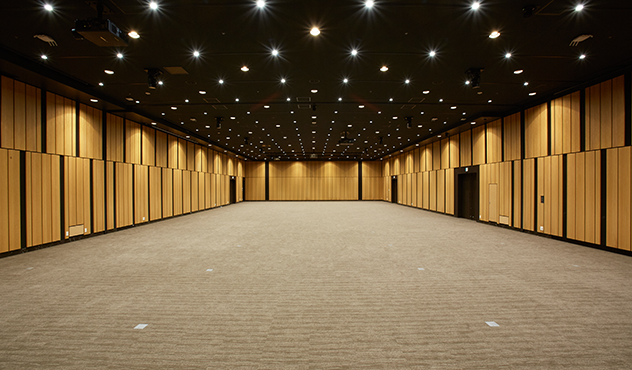 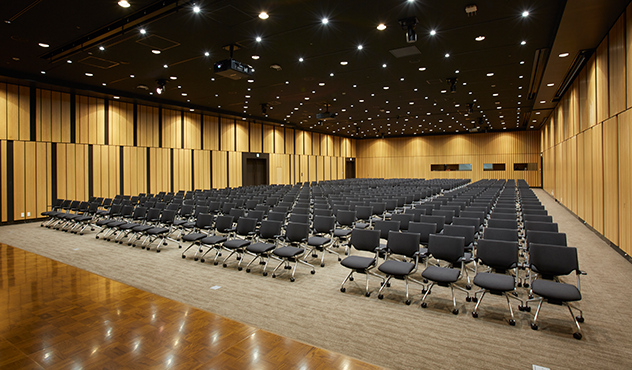 In addition, the main hall is equipped with a dedicated control room for adjusting audio and lighting and for changing video images, as well as a dedicated reception desk and traffic lines in front of the venue that make it possible to accommodate international conferences and symposiums and other large-scale events. 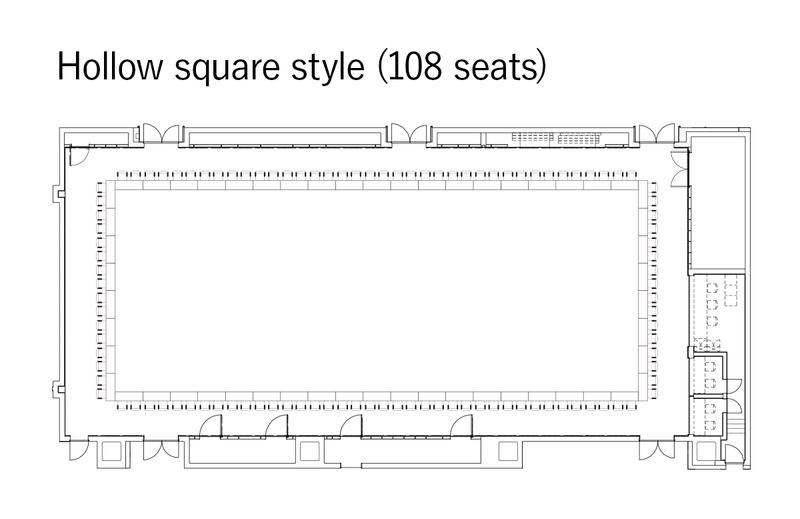 You can also use partitioned sections.